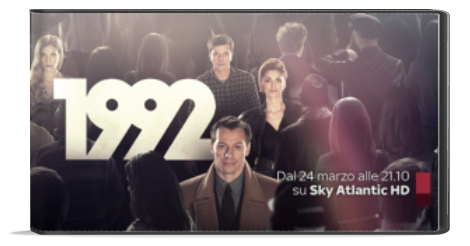 1992 is an Italian political drama television series created by Alessandro Fabbri, Ludovica Rampoldi, Stefano Sardo and based on an idea by Stefano Accorsi. Set in Rome, Milan and different Italian cities, the TV series offers a thrilling story following six people whose lives are intertwined with the rapidly changing political landscape in the early 1990s, during which Italy was gripped by the Clean Hands investigation into political corruption. Subsequently, this led to the termination of the First Republican Party as well as the termination of several other Italian parties. This controversial period in Italy resulted in the suicide of various political figures. The series “1992” has been compared to House of Cards, The Sopranos, and The West Wing.